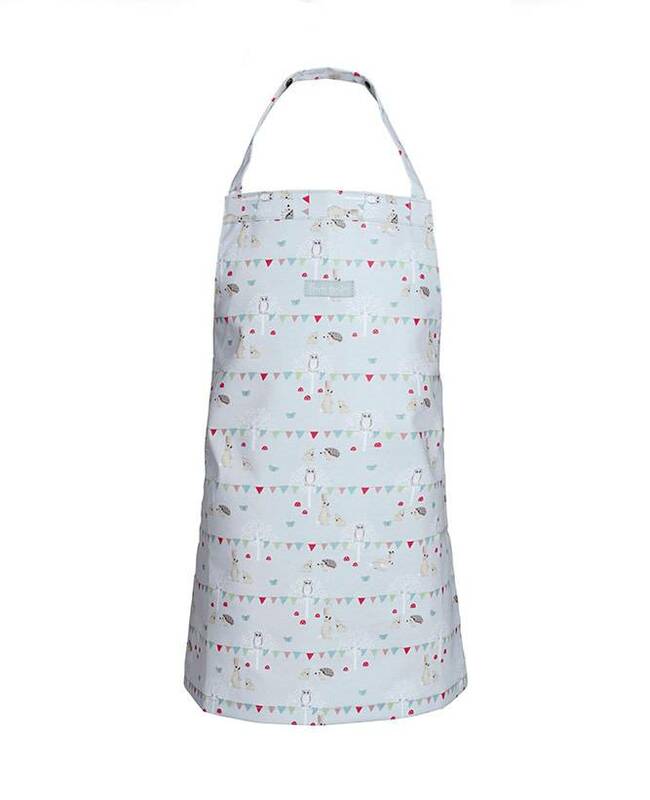 Keep your kid's clothes free from baking mess and protect yourself from cooking spillages with the Sophie Allport Child Apron in Woodland Party. 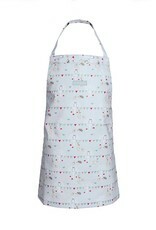 Made from 100% cotton matt oilcloth (PVC), the apron is durable and water resistant. Simply wipe clean! Perfect for baking and creating projects! The design features owls, bunnies, butterflies and cute hedgehogs having a party in the wood under colourful bunting. The oilcloth is pale blue and bound to appeal to little ones.